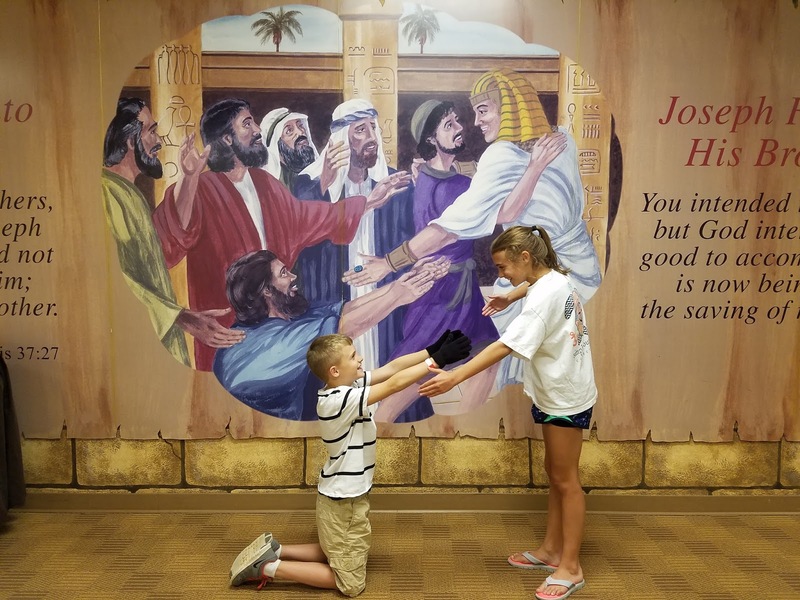 Keeping Up With The Joneses: Summer Stuff: The First Half. Summer Stuff: The First Half. So we are more than half way through summer and I've been a slacker on updating the blog. We didn't make any fun plans this summer, but we've managed to keep ourselves busy. We are pretty much settled into the new house. The inside is almost complete, but the yard still needs lots of TLC. Pool Friday's started immediately after school got out. We had a nice crew join us for the first Pool Friday of the year. On Memorial Day we had our usual family pool party with a side of baby shower to celebrate the parents-to-be...Joey and Katie. It goes without saying that EVERYONE is so excited about Baby Carter's arrival, which should be any day now. 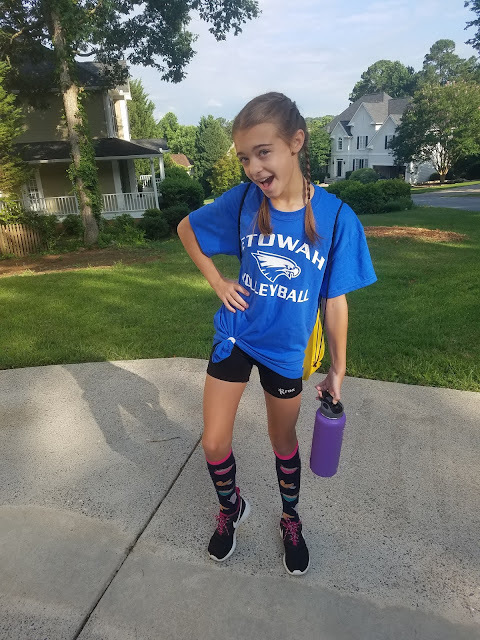 Jordyn went to a volleyball camp at Etowah, which she really enjoyed. I was proud of her for branching out to try something new. You would think having our kids play volleyball would be the norm, but they have never had any interest in trying it. After the camp she said she would do it again, but likes soccer better. Bryce enjoyed a week of VBS at our church. Jordyn came with me to drop Bryce off one night and insisted we take the following pictures. Funny right?! Katie's twin sister, Ashley, my mom and I threw a couple's baby shower for Joey and Katie the 2nd weekend in June. It was nice to see some of Joey's friends I hadn't seen in a while. Do you see Sydney in the background. Ha! The following weekend we celebrated Father's Day. My dad had recently had surgery on his elbow AND he was having some major issues with gout in his knee, which landed him in a wheelchair for a few days. 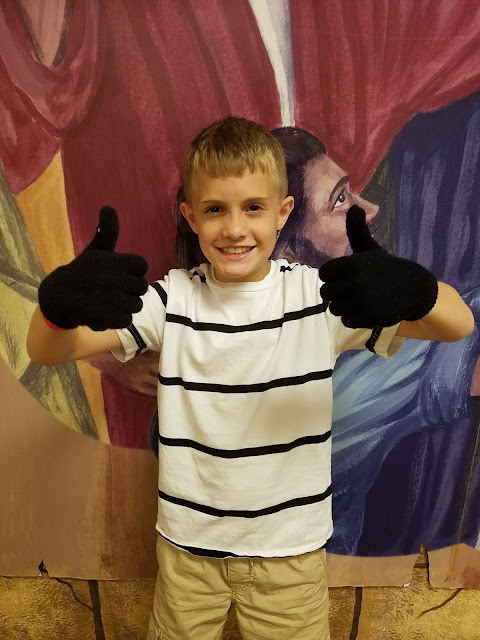 *I am happy to report he is feeling better and mobile again! We had a fun dinner date with the Mullinax family. I can't remember the last time we got our families together for dinner so it was a nice treat. Jordyn was loving life because they have a trampoline. 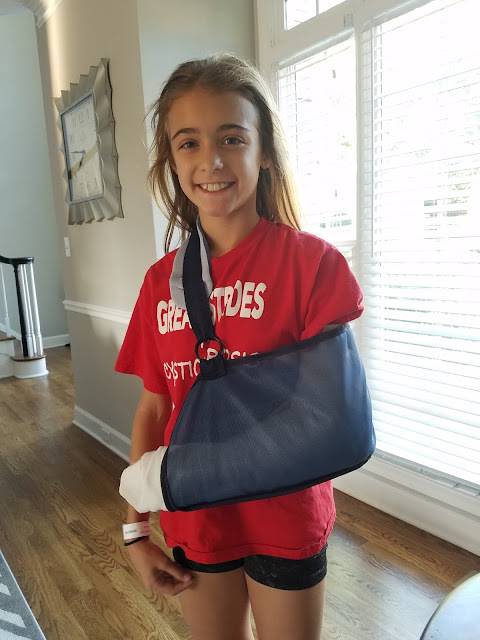 And last but not least to round out the very end of the month Jordyn went and fractured her elbow. I would love to say she was doing something dangerous or adventurous, but nope she was just jumping over her tumbling mat and somehow tripped. 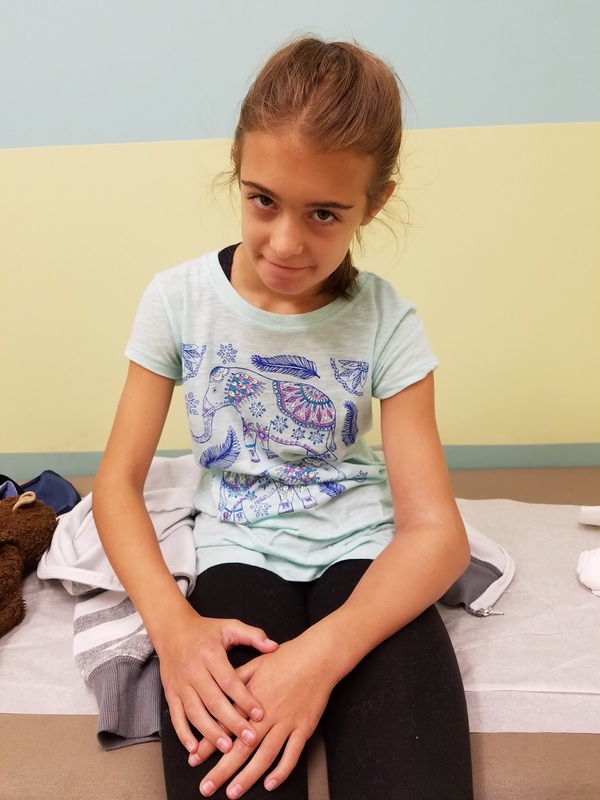 Bryan immediately took her to the ER where we were informed she might need pins in her elbow. 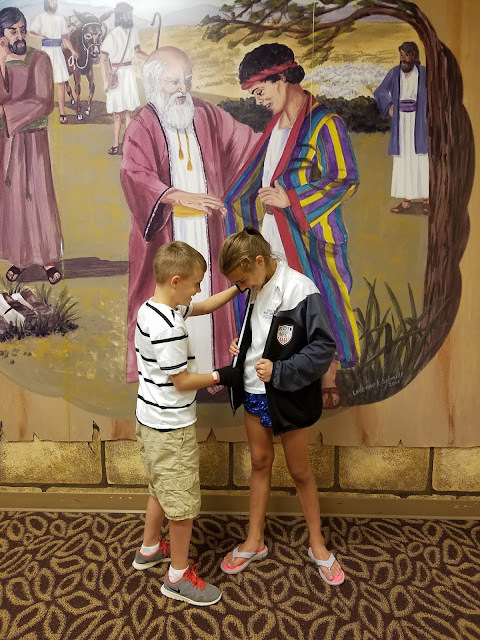 The next day (Wednesday) I took her to the orthopedic and they confirmed that she did indeed need pins. Clearly she did a good job on her elbow...look how swollen it was! Sorry for the gross picture, but I wanted to share it for the "memories". She had surgery on Friday June 30th. They asked us to arrive by 8:00 at Egleston, but she wasn't taken back for surgery until 11:15! The morning of the surgery Sydney woke up with a fever so instead of me heading to the surgery, I took Sydney to the Minute Clinic while Bryan went to the surgery. Sydney ended up having strep. 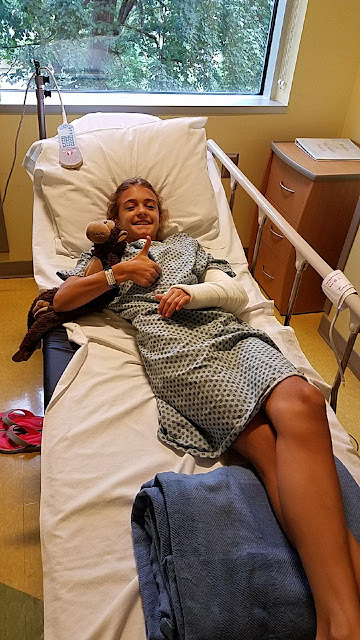 It looks like a cast, but it's actually soft and squishy except for a hard plaster piece that runs the length of her arm on the side. She will be in this splint for 4 weeks. 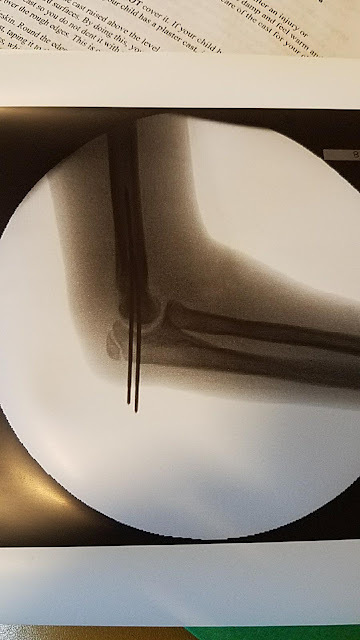 She has 2 pins in the left elbow that actually stick out of her arm as you can see in the x-ray below. After 4 weeks the pins will be removed and she will either go into another split like she has now or they will put a hard cast on her. She can't get this wet so that has put a damper on summer activities. 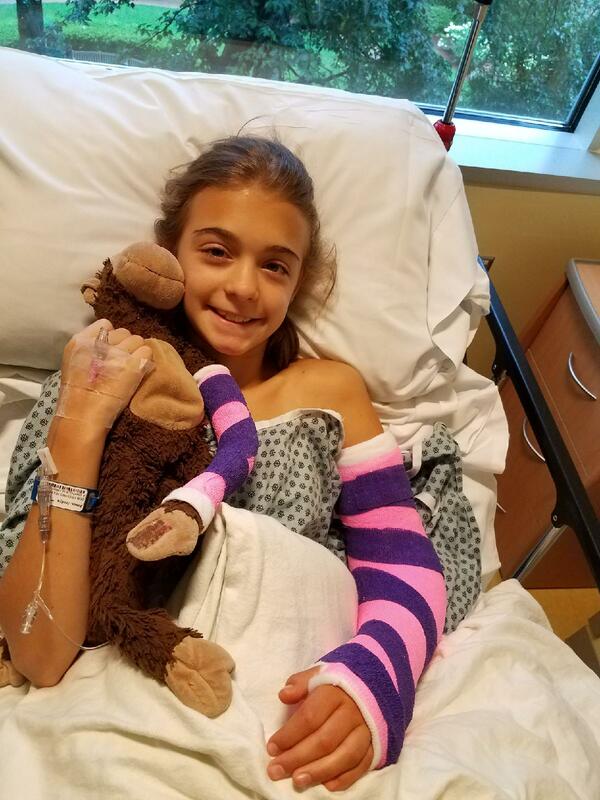 Jo woke up from surgery to find that Monkey ended up having to have a splint too. That's it. That's all the excitement from the first half of summer. It's moving too fast as usual.